Hi! 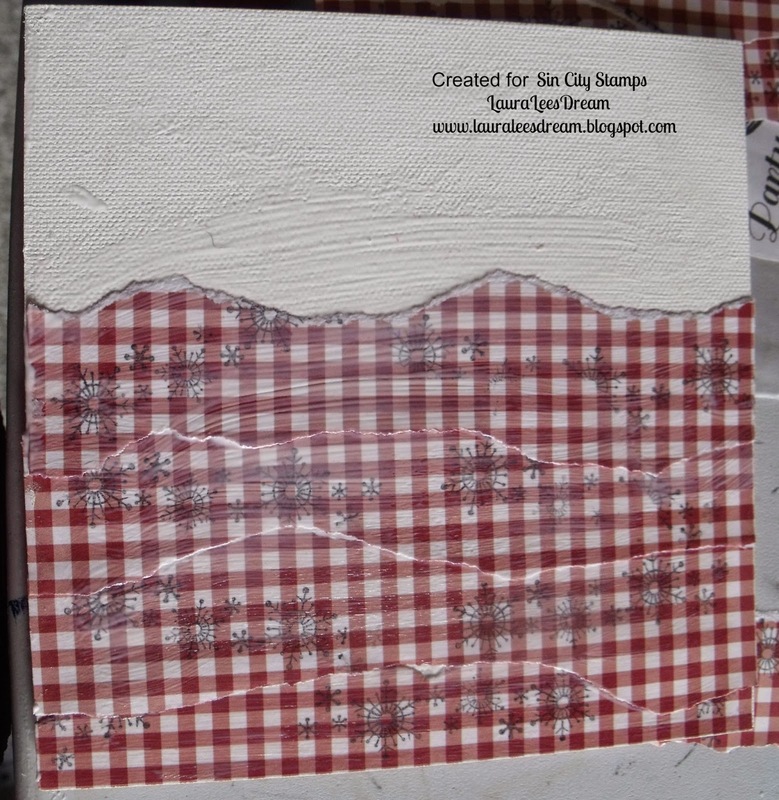 Today I am sharing a canvas I made for Sin City Stamps. Our sponsor this month is Cottonwood Arts. I used one of their 6 x6 canvas's to make my project. I made an altered canvas. 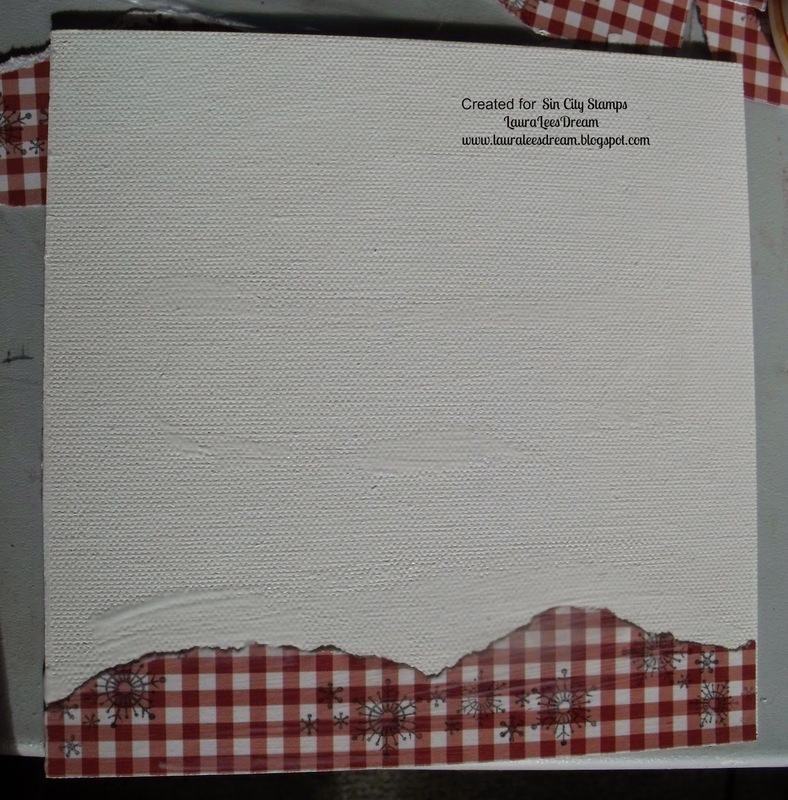 gingham paper, white gesso, burlap,twine and mod podge. I also used copic markers to colour the owls. I painted gesso on the blank canvas. I then tore the gingham into strips then started layering them on the canvas. 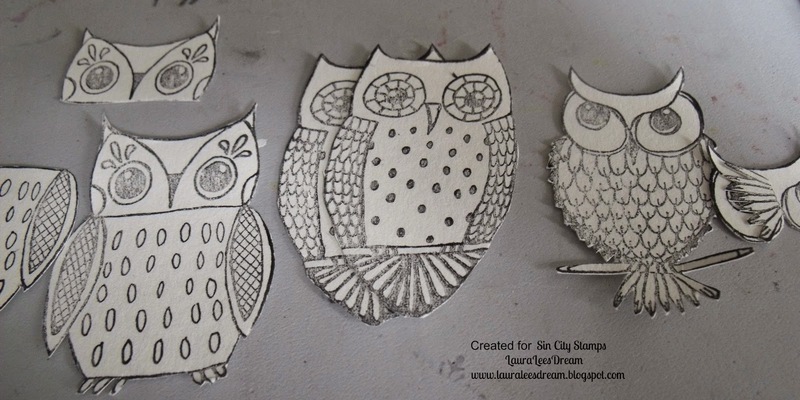 I stamped the owls three times each and then cut into pieces. 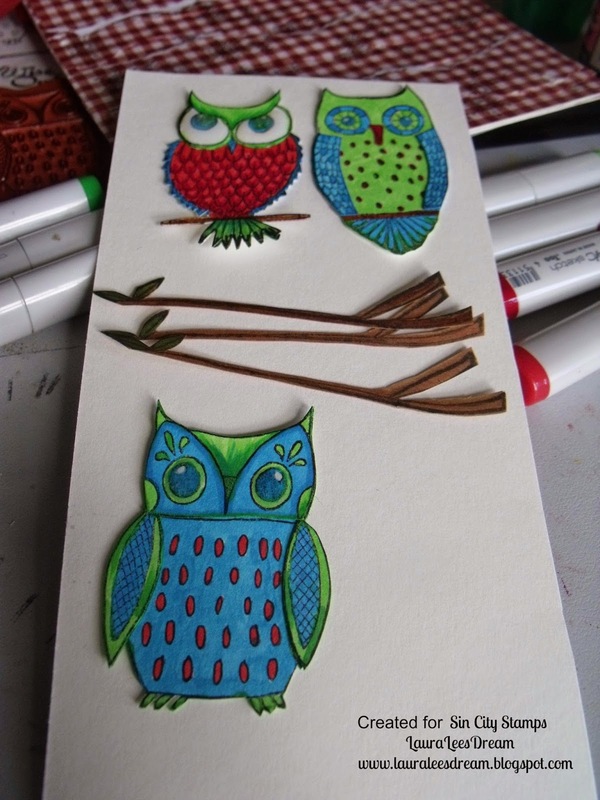 I coloured the owls and branch with copics. I added glossy accents to the eyes. I also used white gesso and stencils on the corners to add detail. The Hoo's are hand written..
Be sure to check out all the amazing products in the store. What an adorable canvas, Laura. 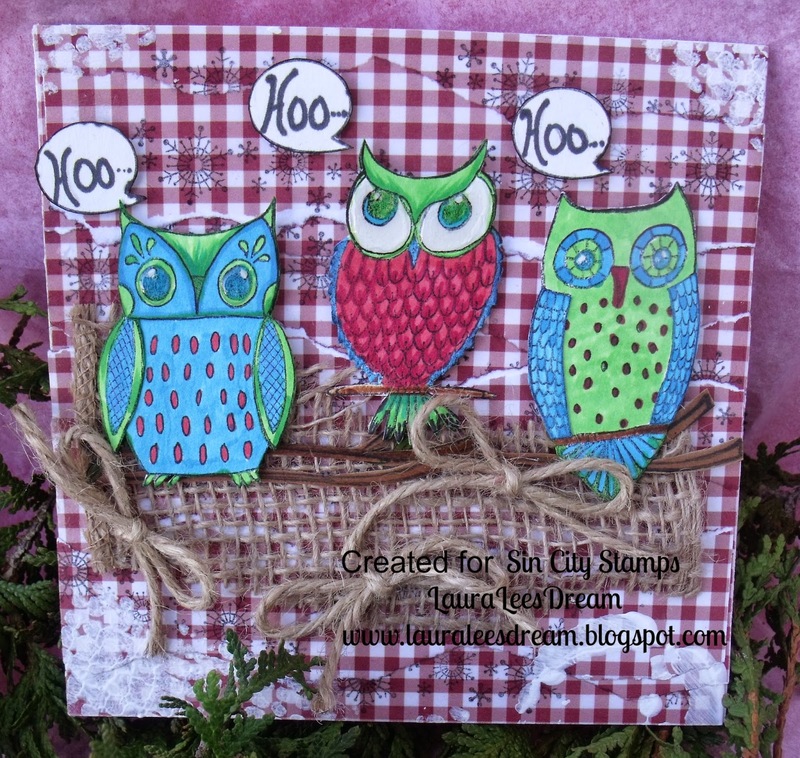 I love the snowflakes added to the background, and the layering of the owls for that 3D effect.